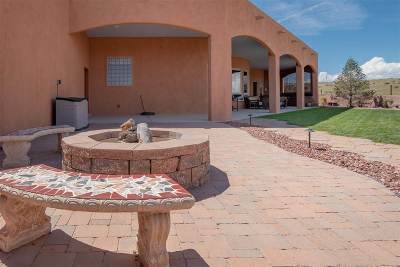 There are so many wonderful features in this exquisite custom home located on an acre lot in quiet neighborhood with beautiful views. 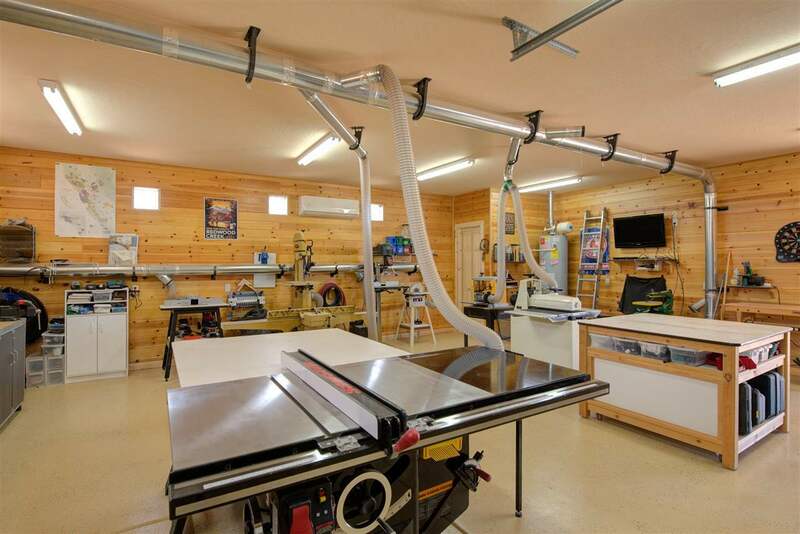 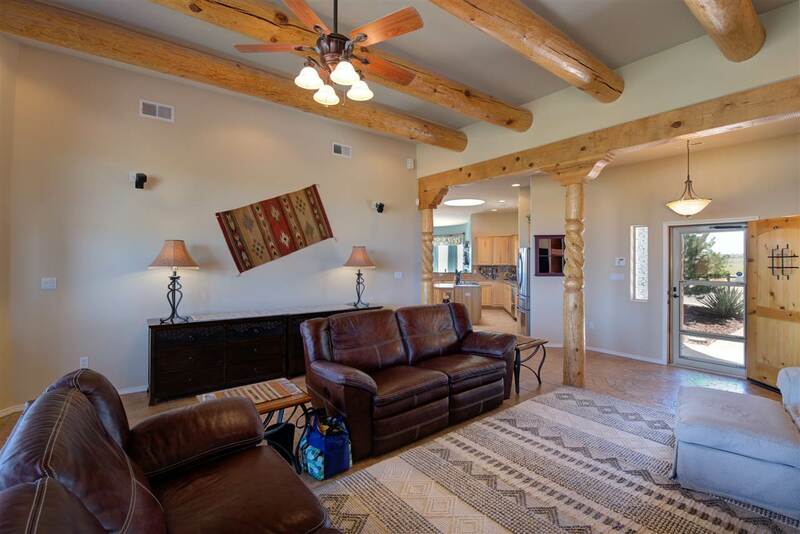 Immaculate and detailed, home is 2x6 construction with R38insulation and a 50 year silicon roof with warranty. 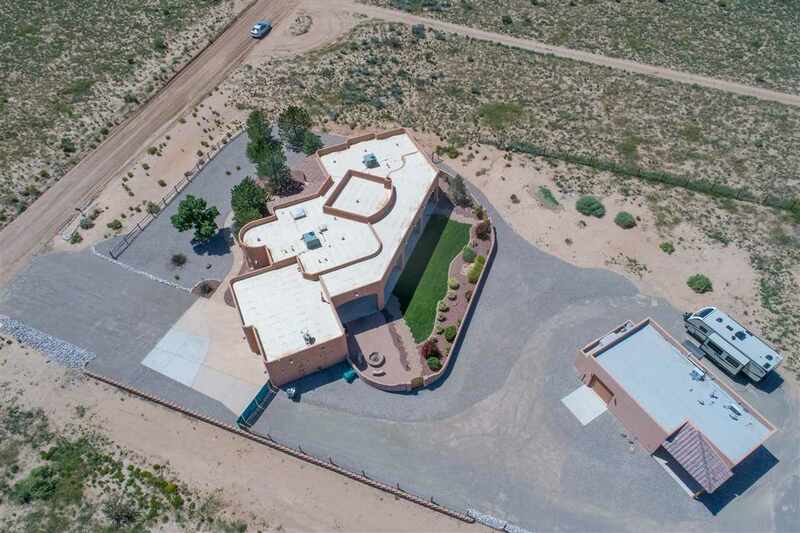 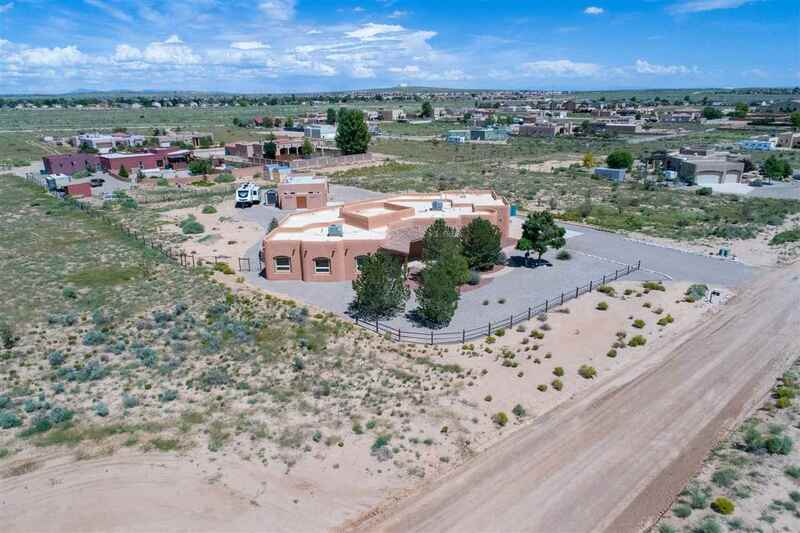 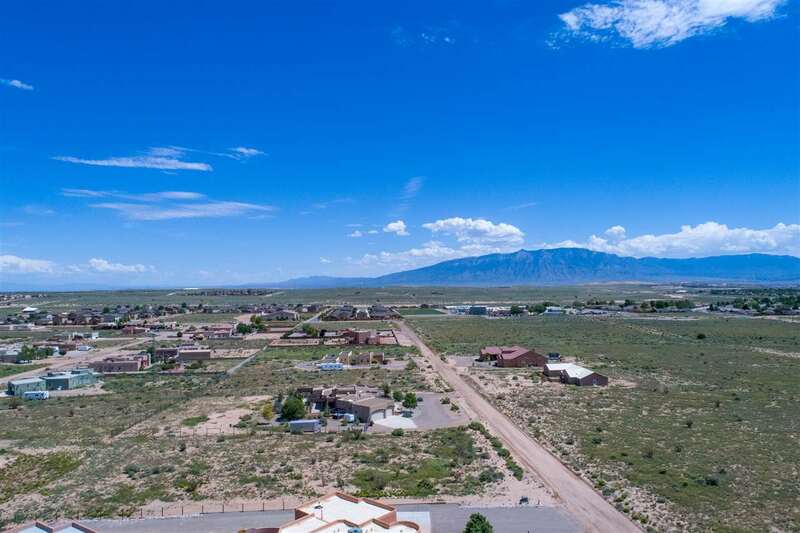 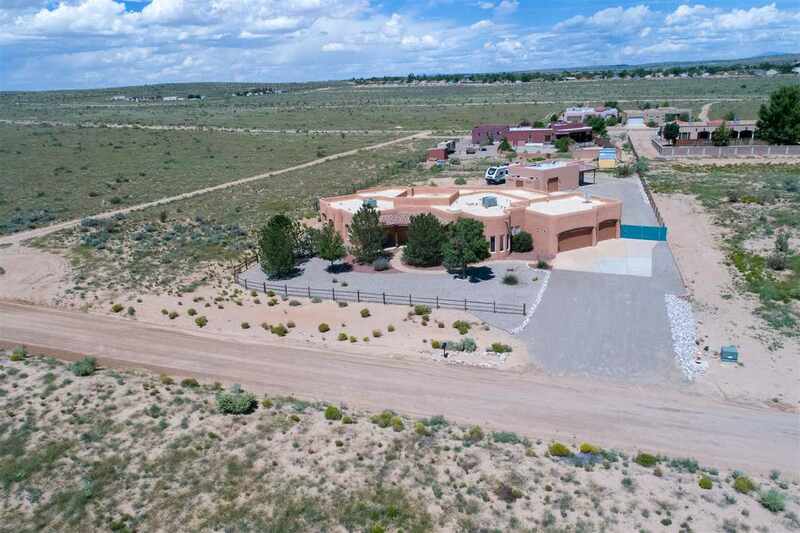 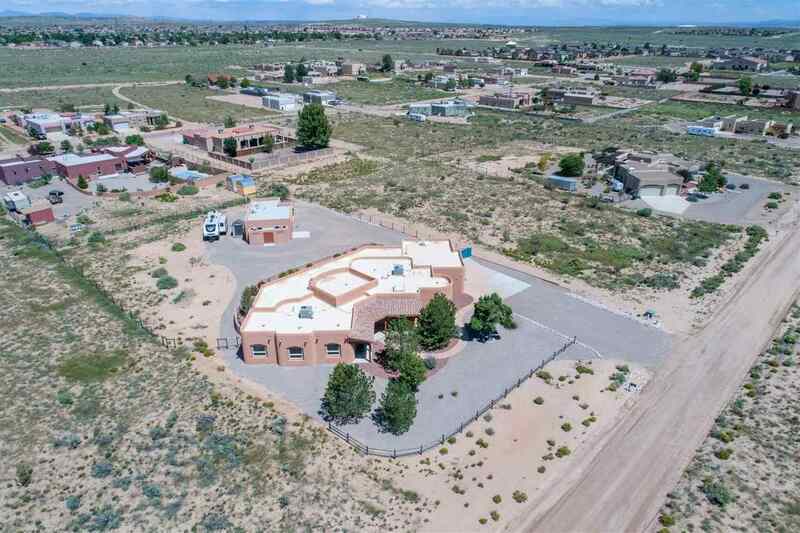 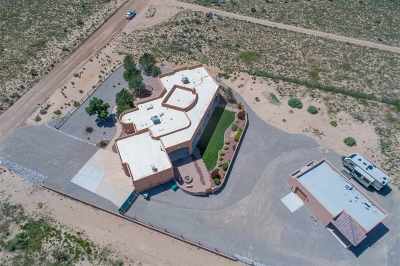 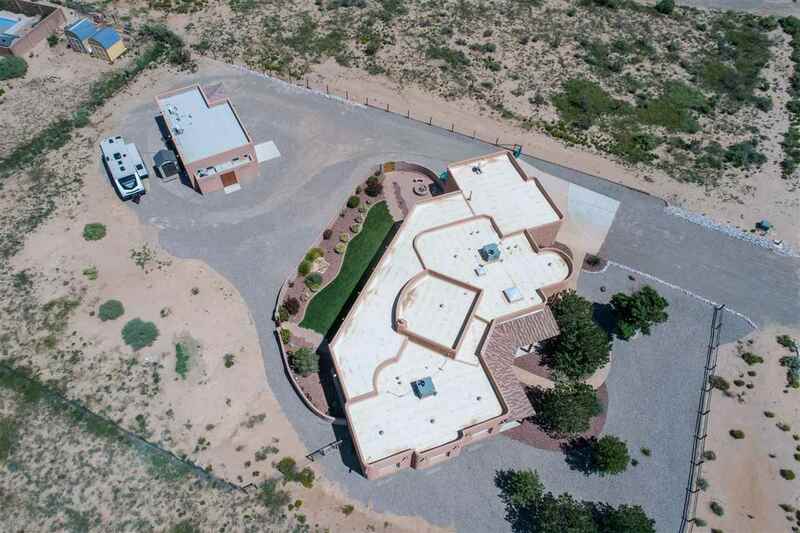 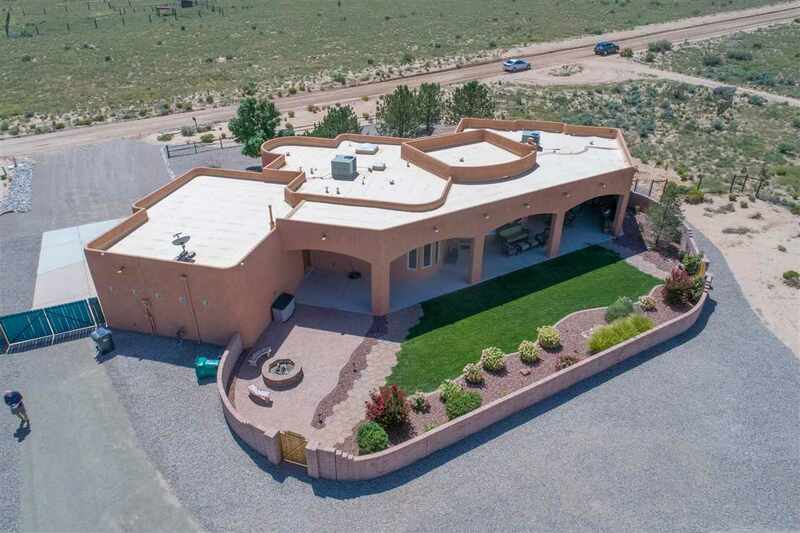 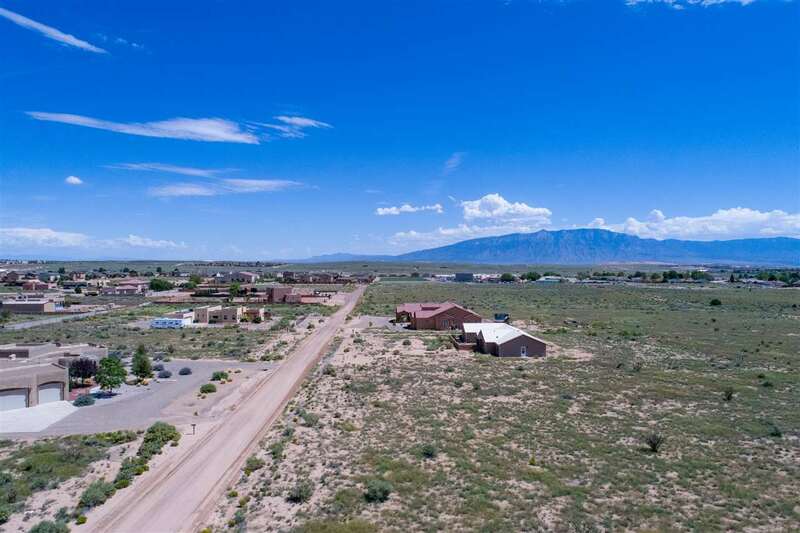 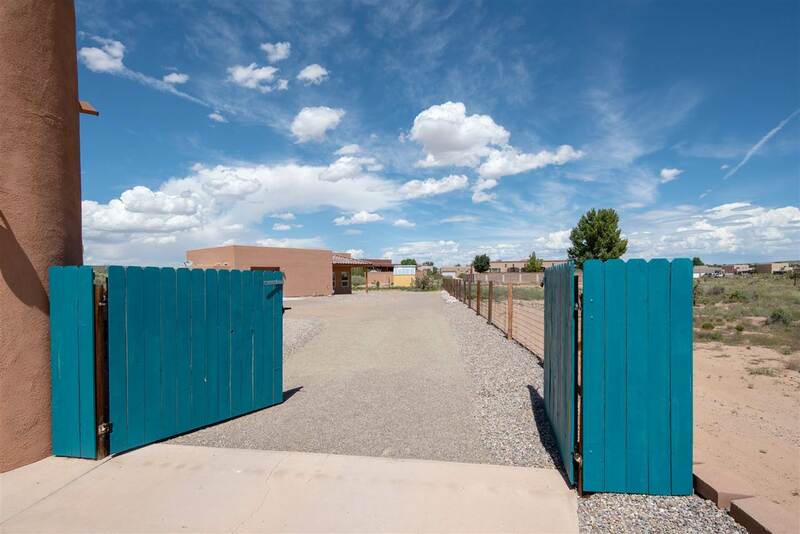 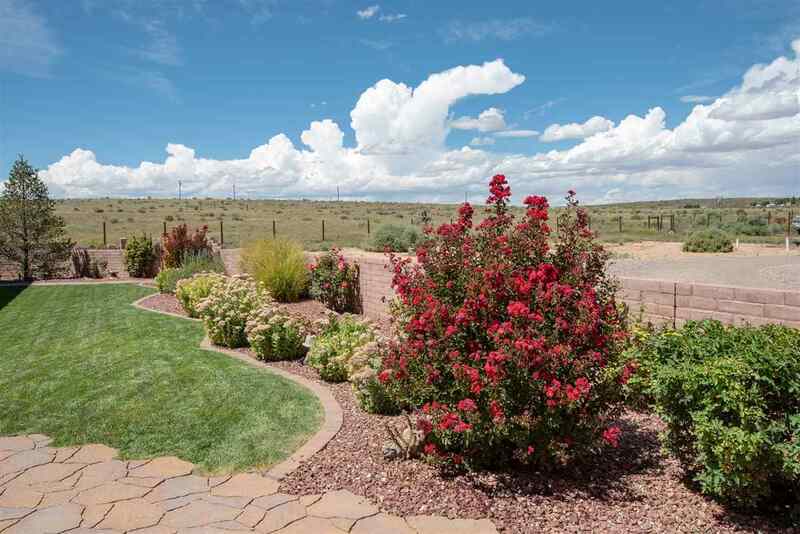 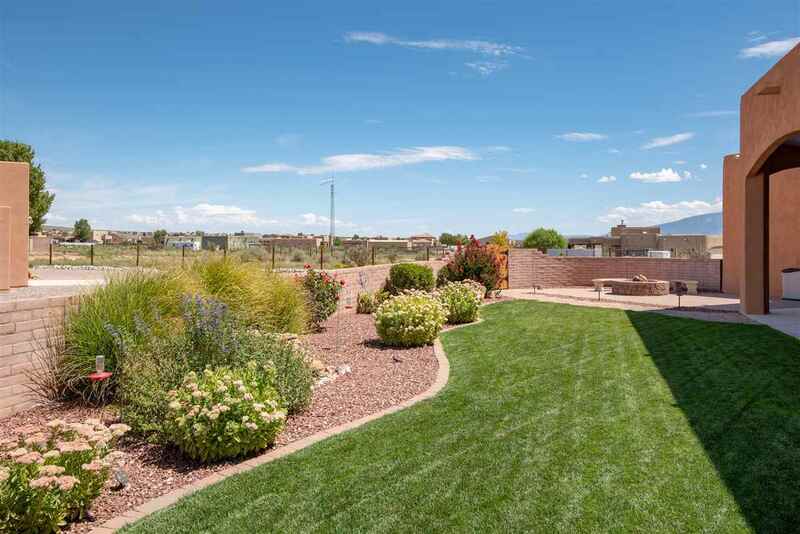 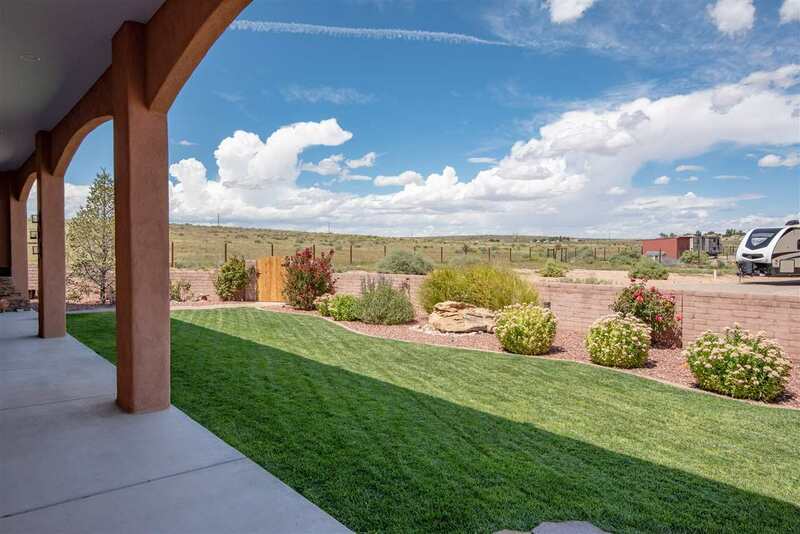 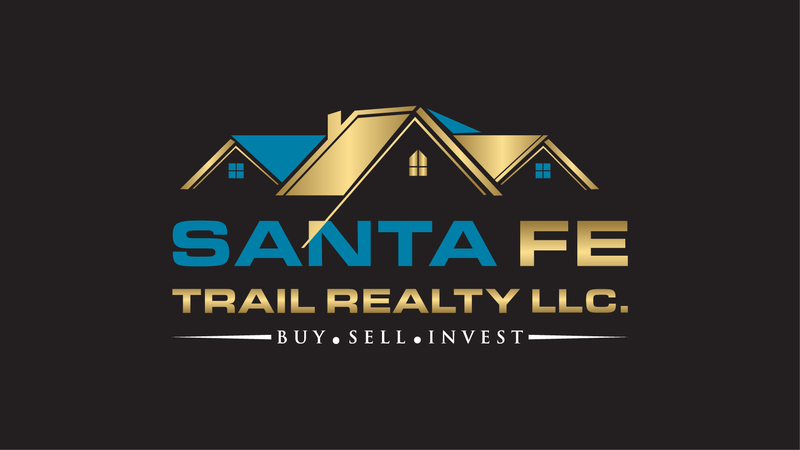 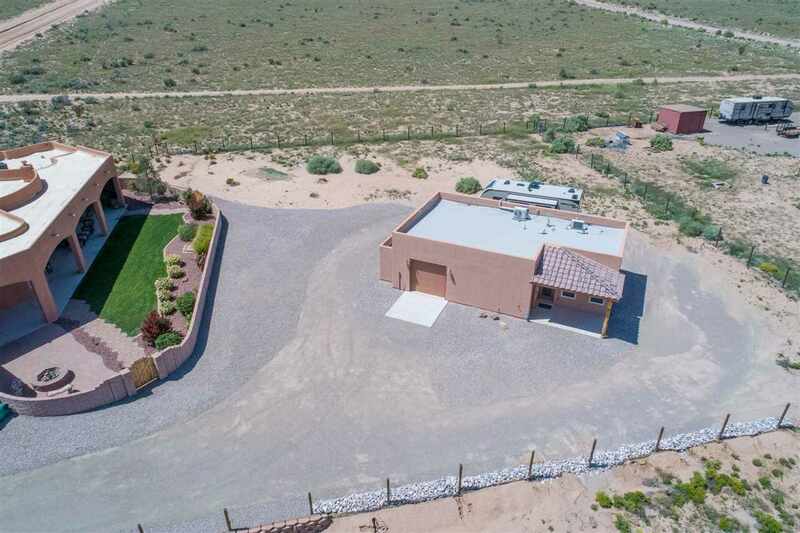 Lot is fenced with professional landscaping front&back, large covered patio with outdoor kitchen,water feature and fire pit,wired for sound system.RV pad with hook up and dump station. 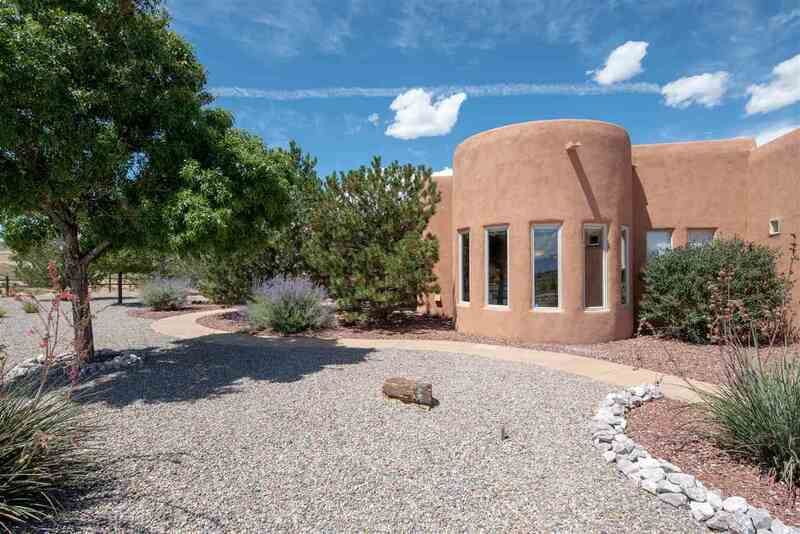 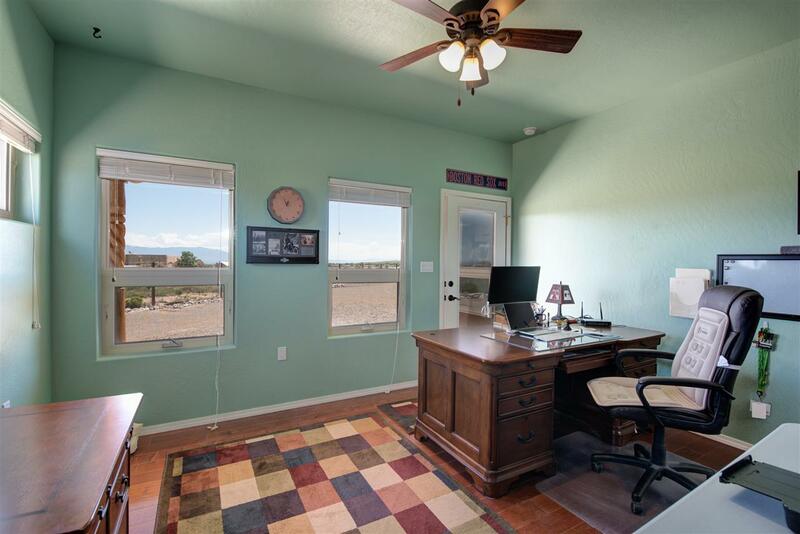 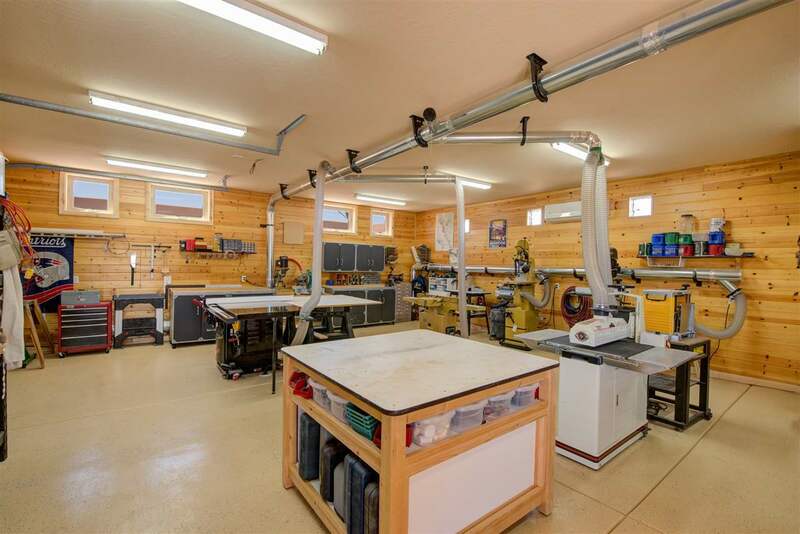 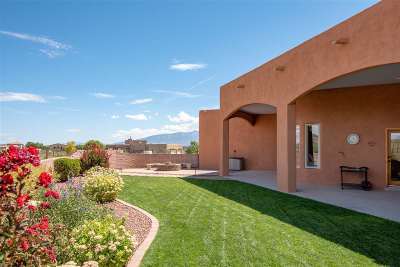 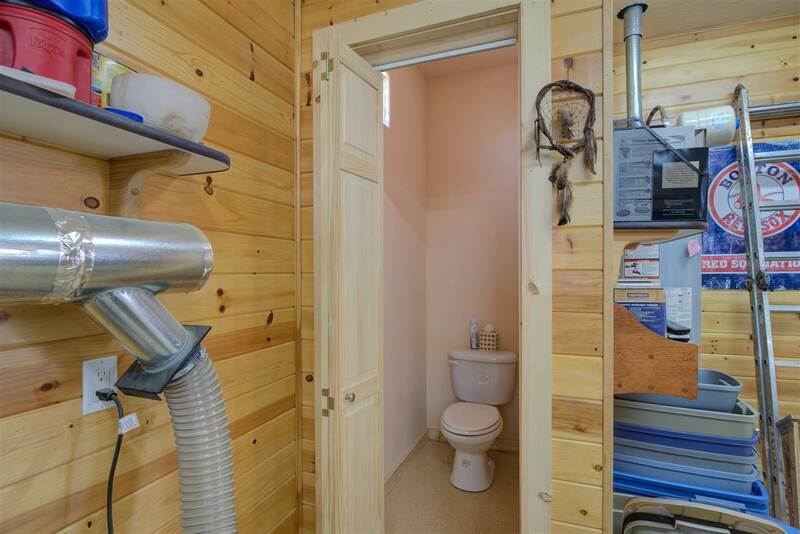 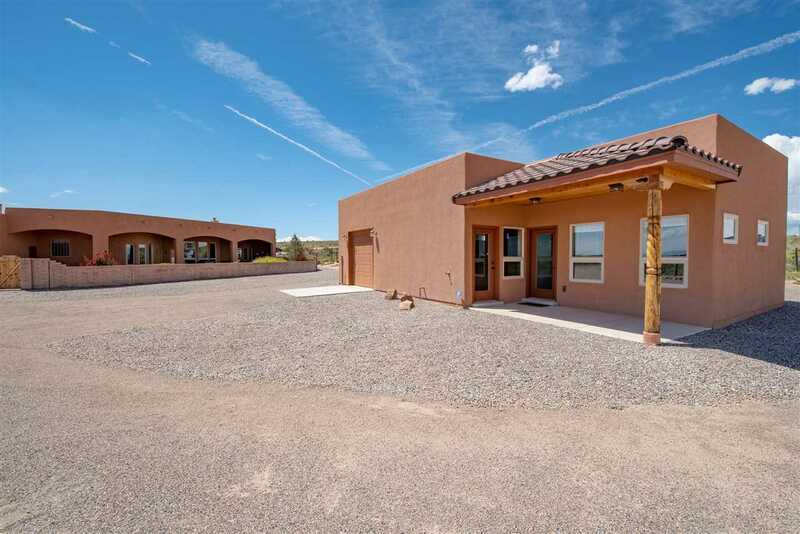 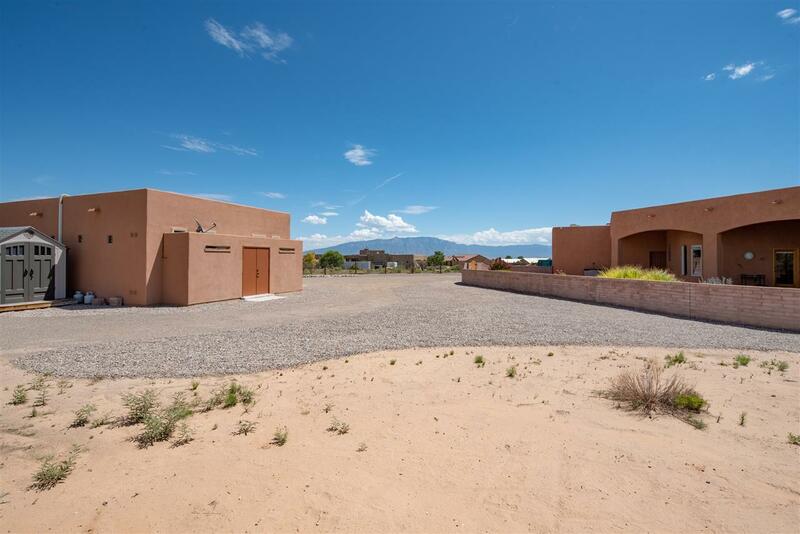 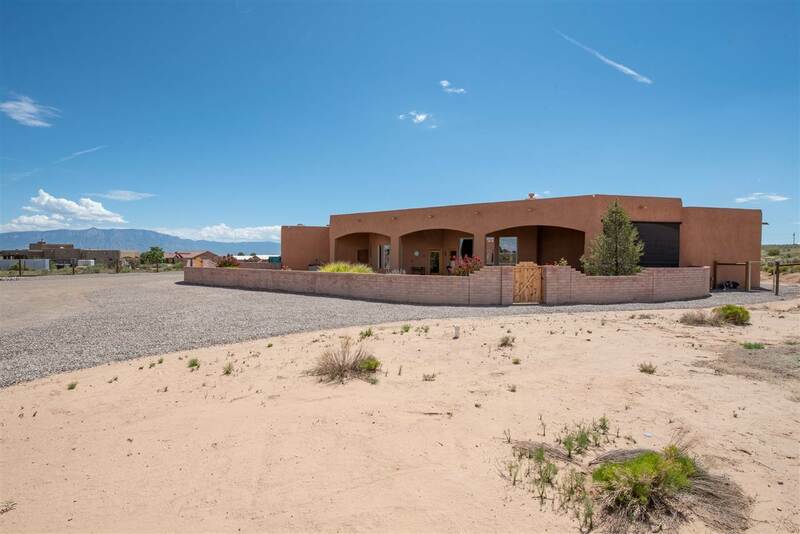 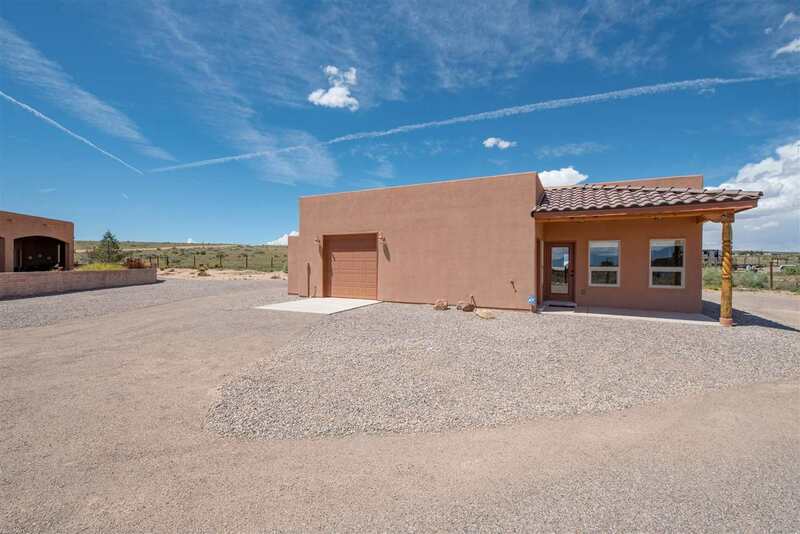 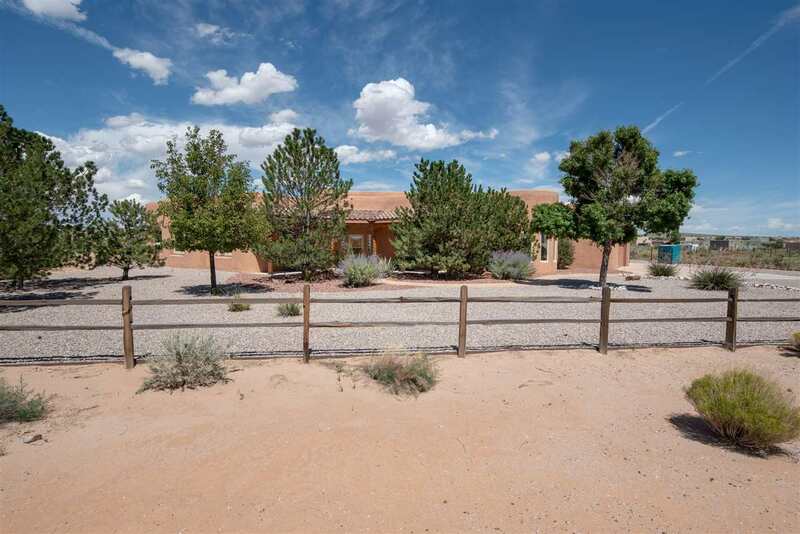 Casita features views and full bathroom.Workshop has split system, garage door, bathroom and could be used as a living space. 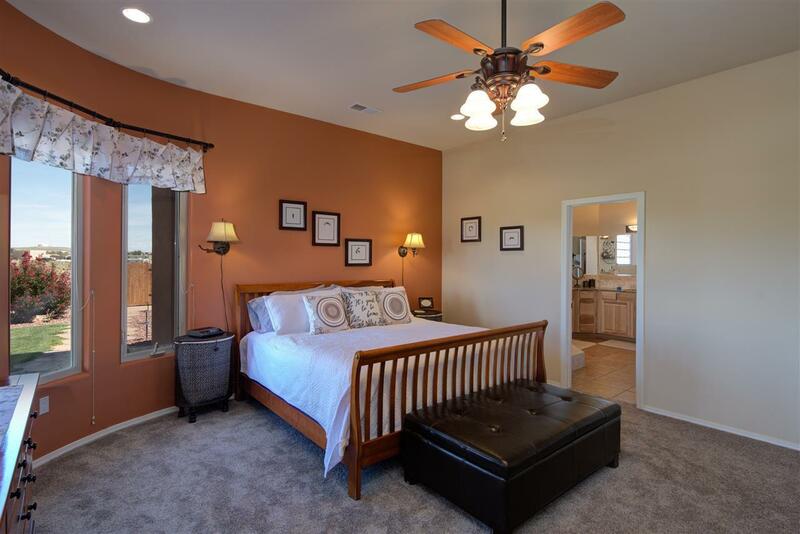 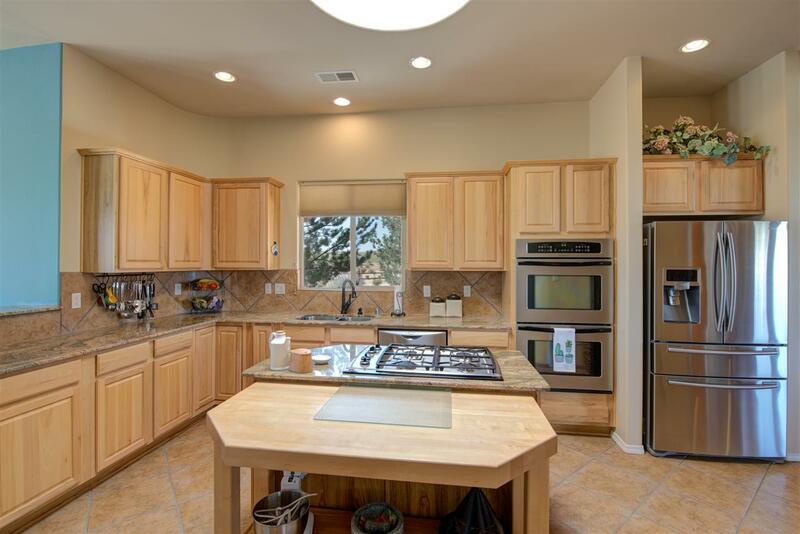 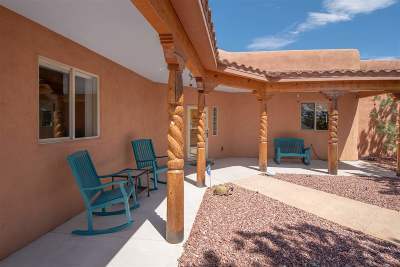 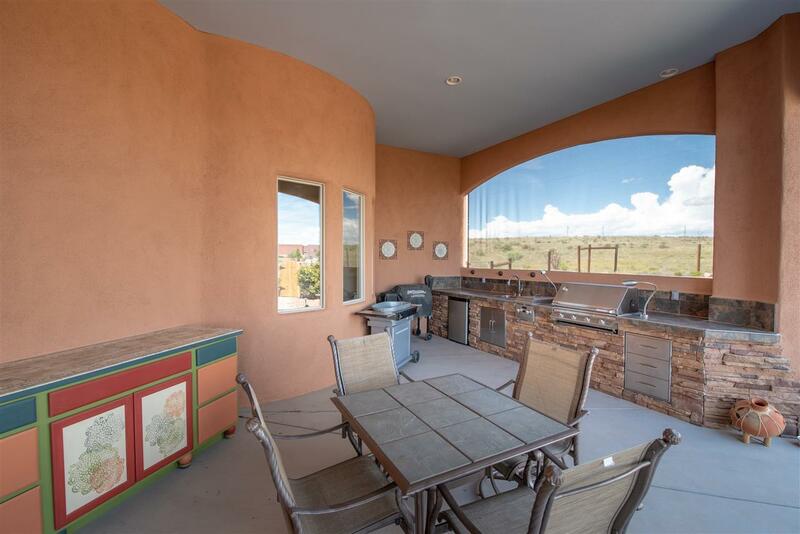 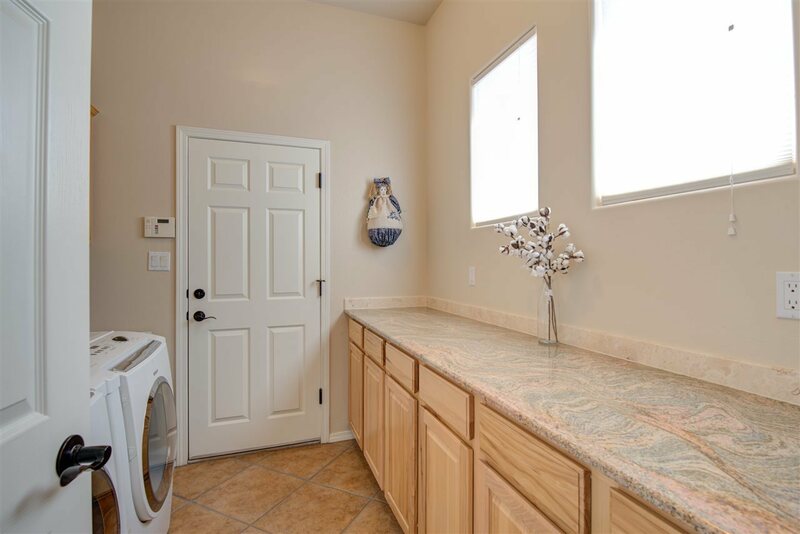 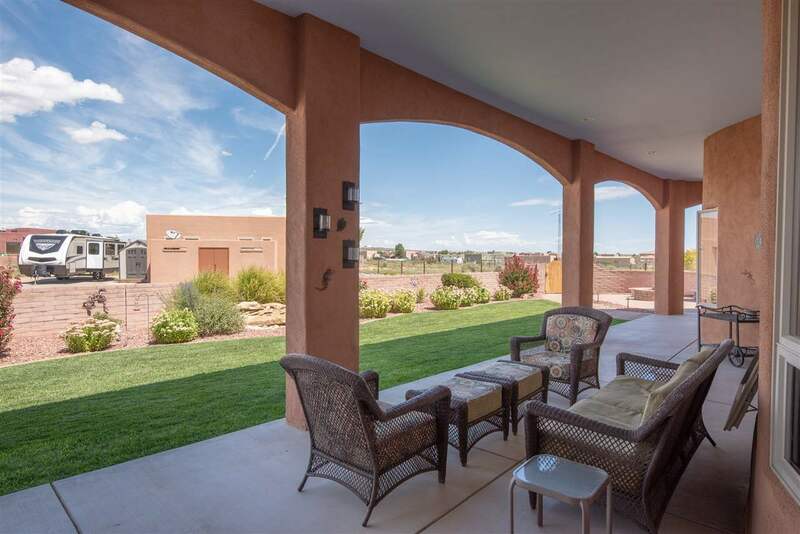 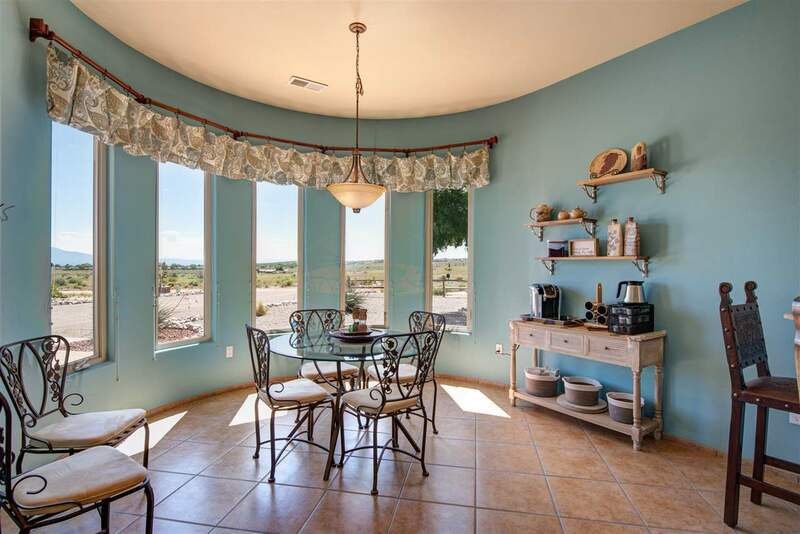 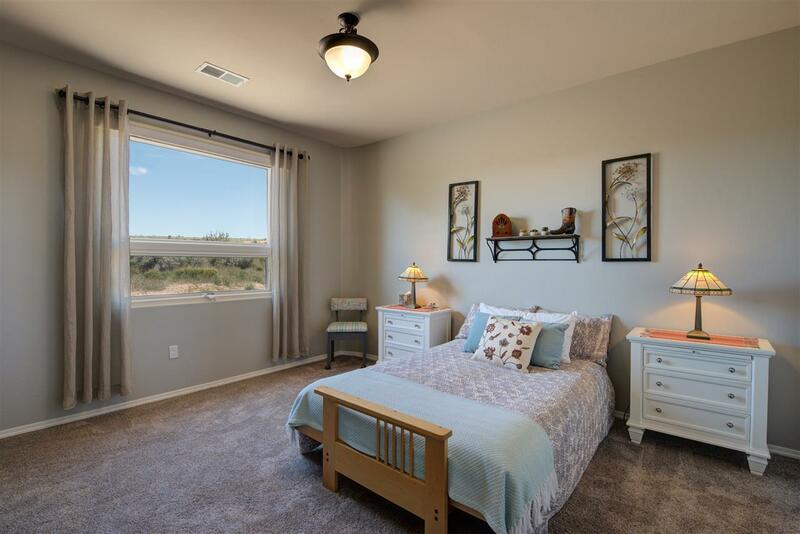 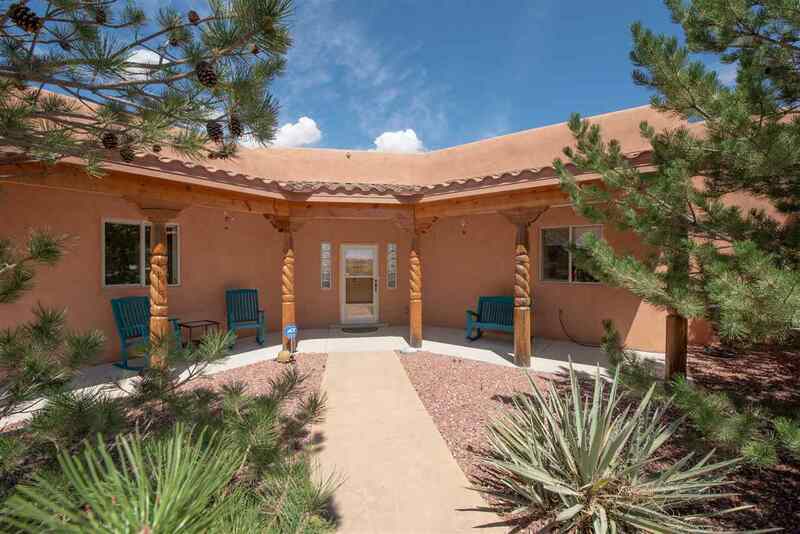 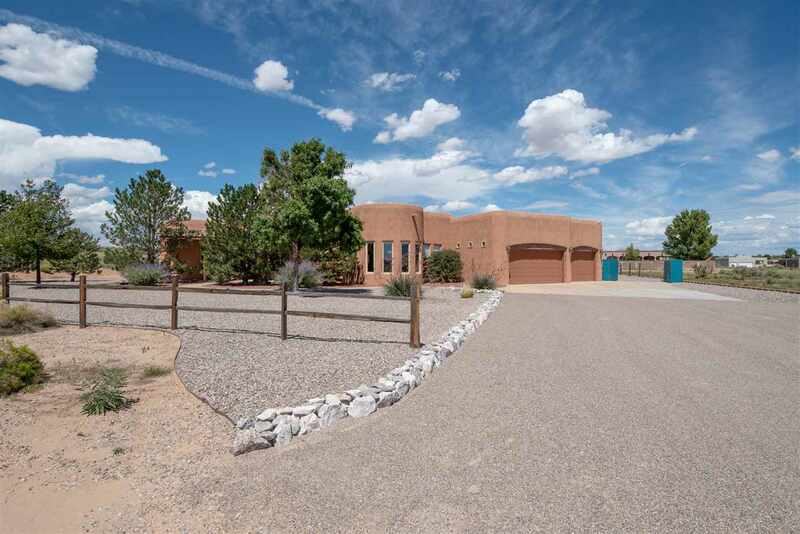 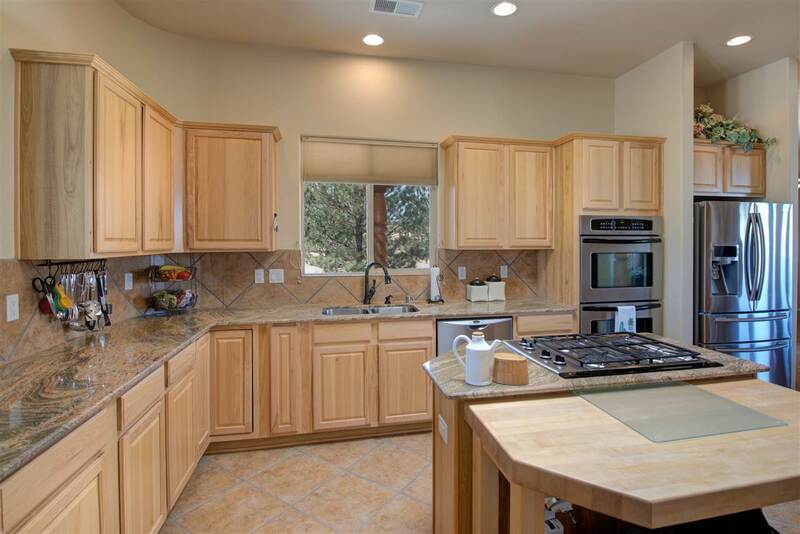 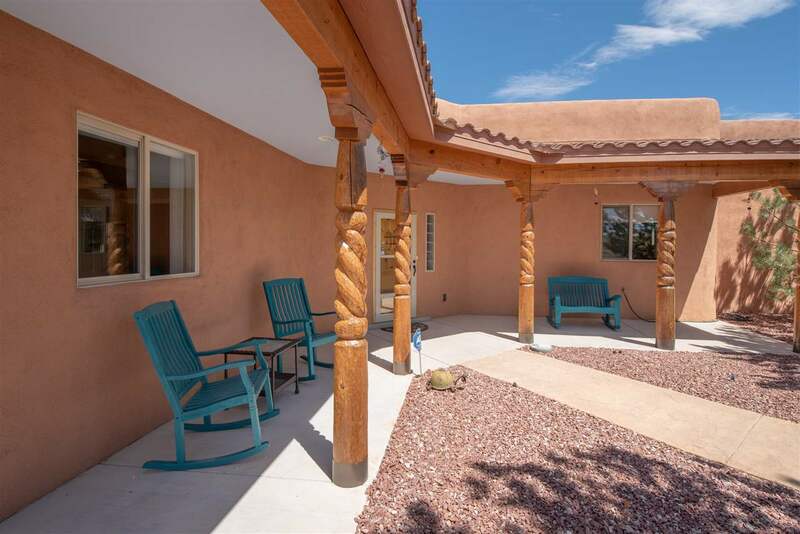 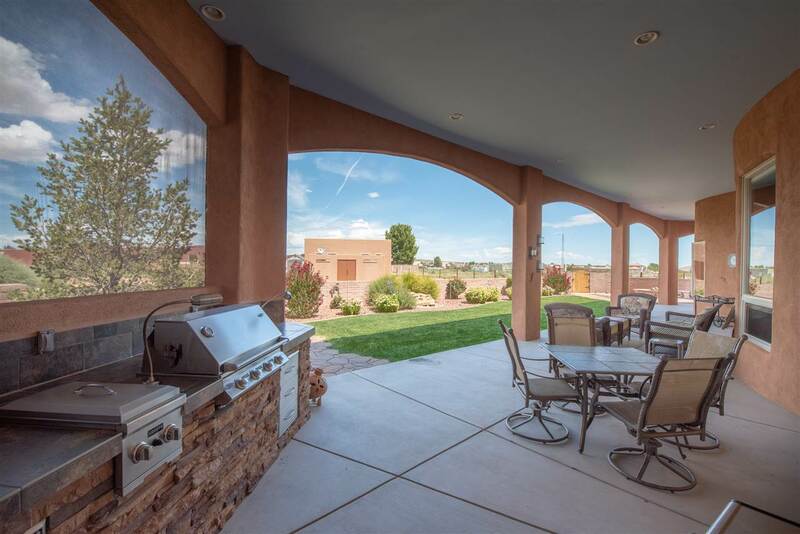 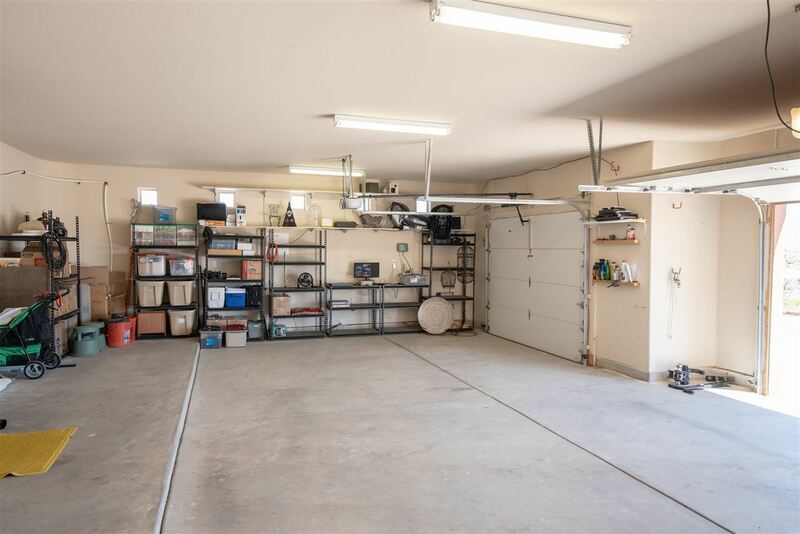 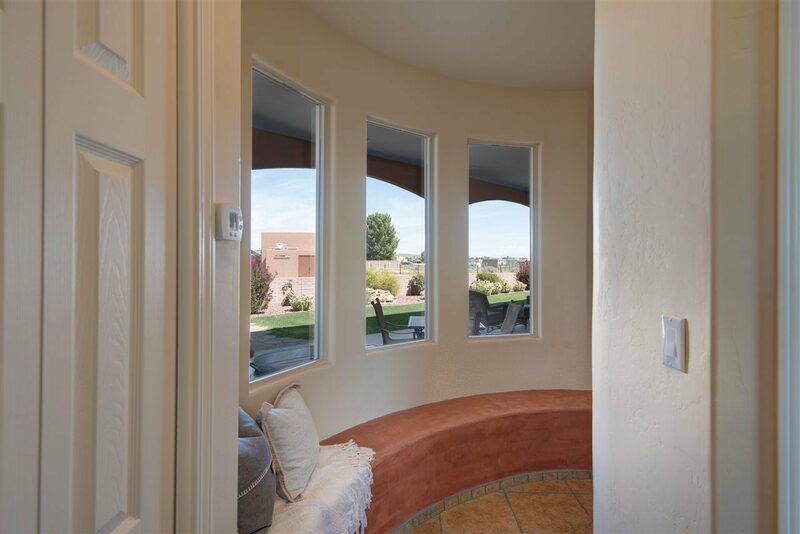 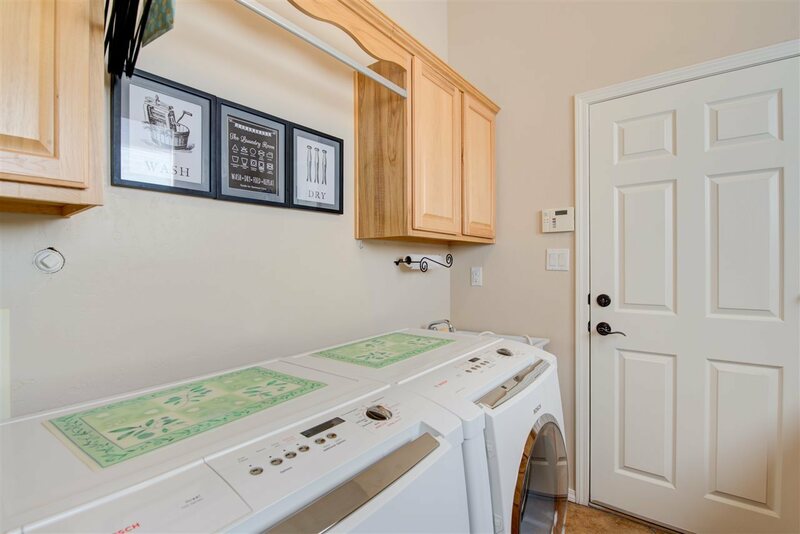 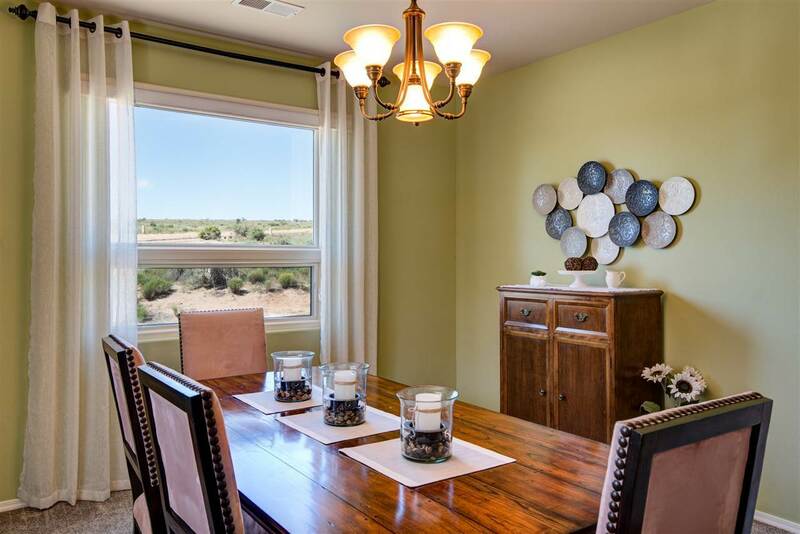 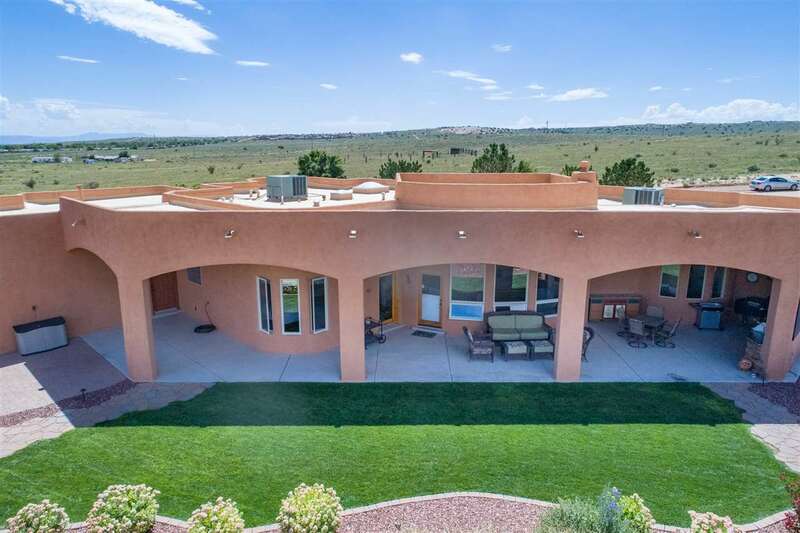 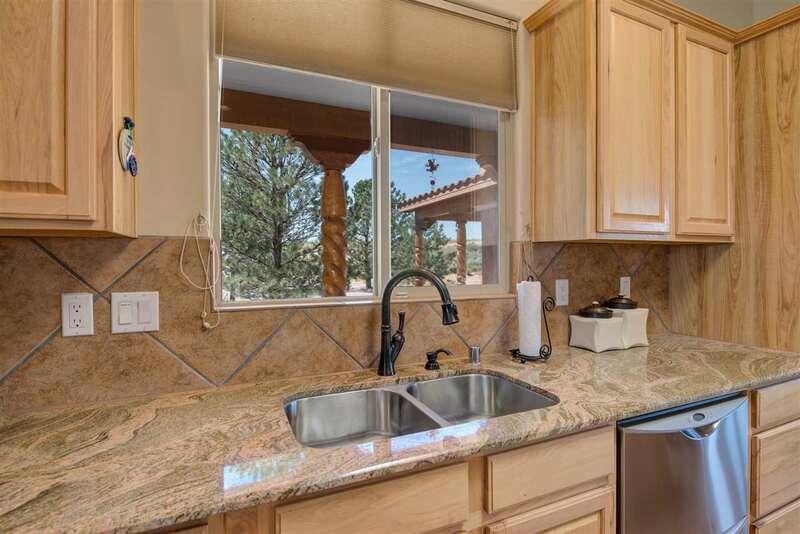 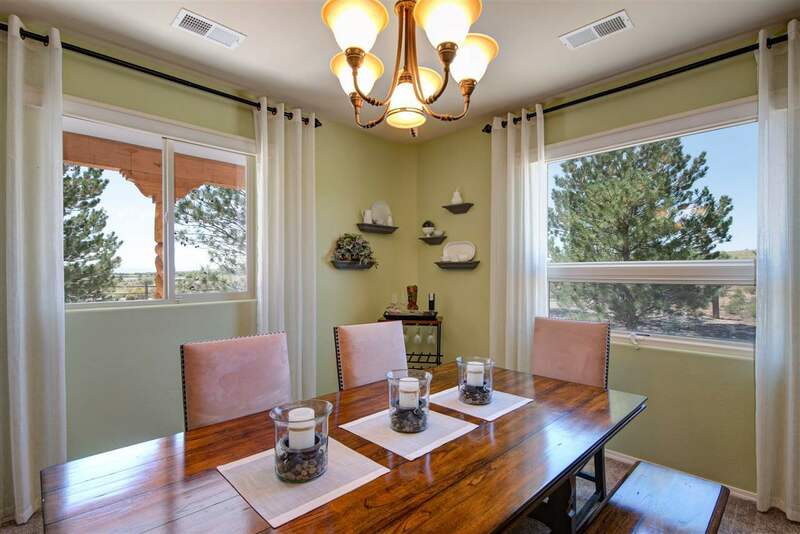 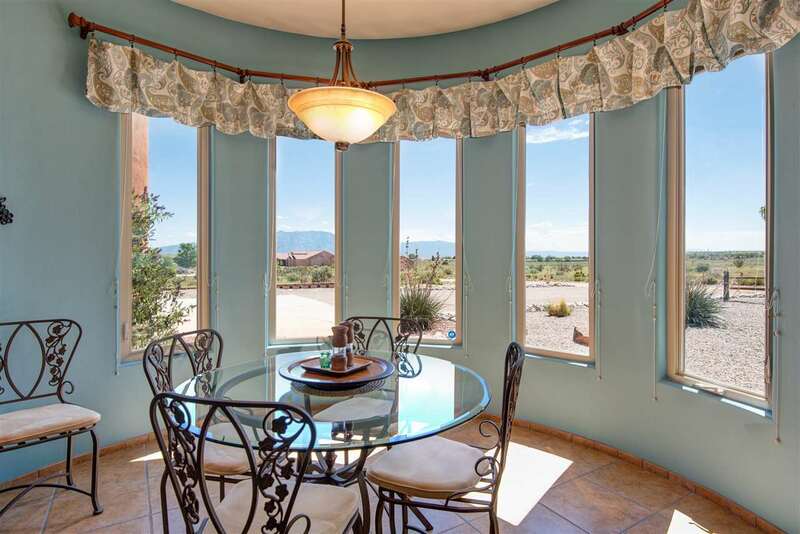 (both workshop and casita are heated and included in living space) Spacious kitchen with granite/butcher block island, stainless, gorgeous granite counters,double ovens,double dishwasher,hickory cabinets. 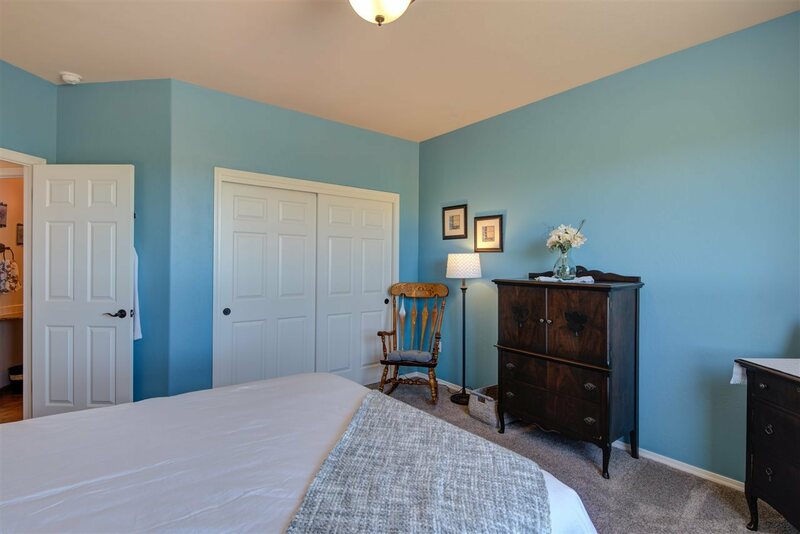 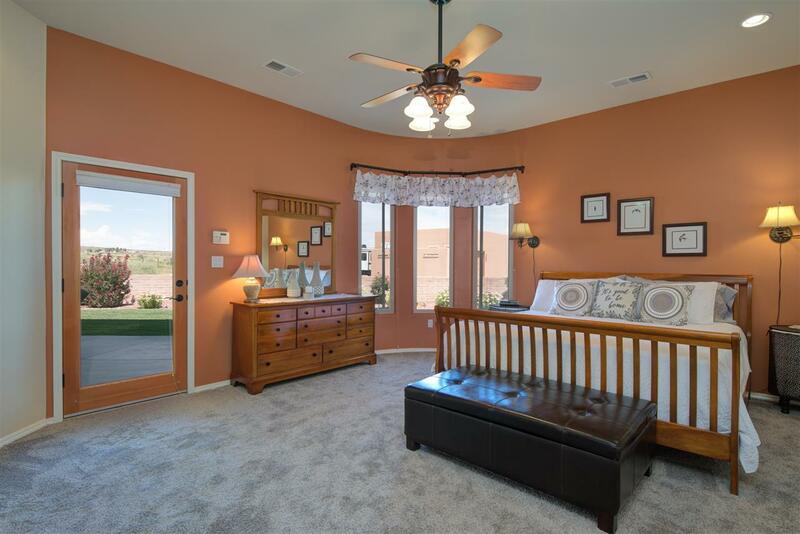 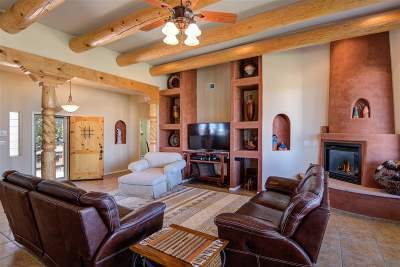 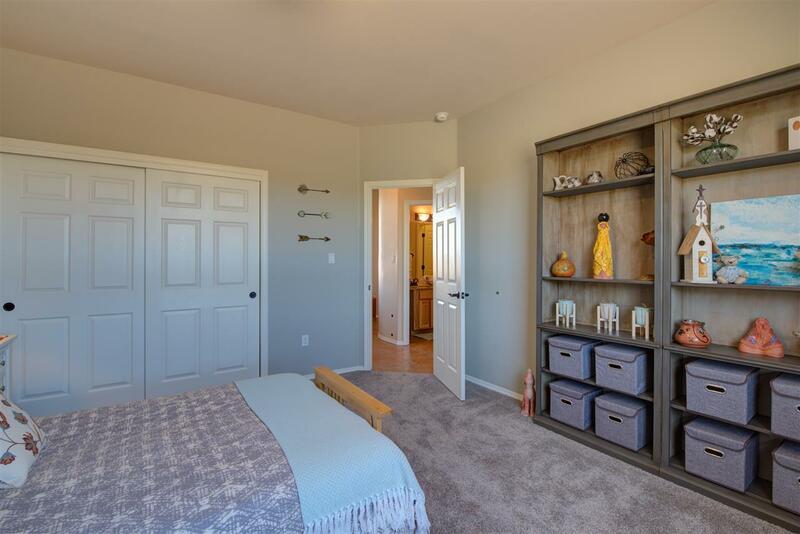 Bedrooms all have new Karastan carpet.Great room has surround sound system, beams, carved posts, custom Kiva gas fireplace and built in shelving. 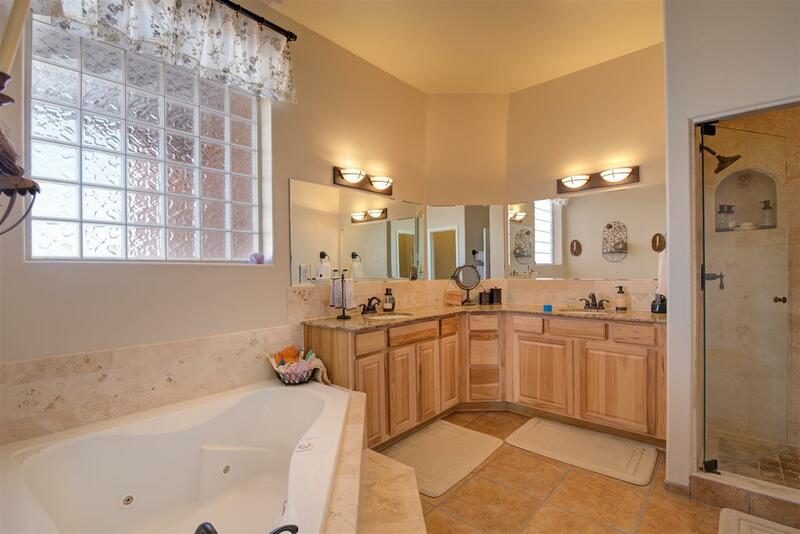 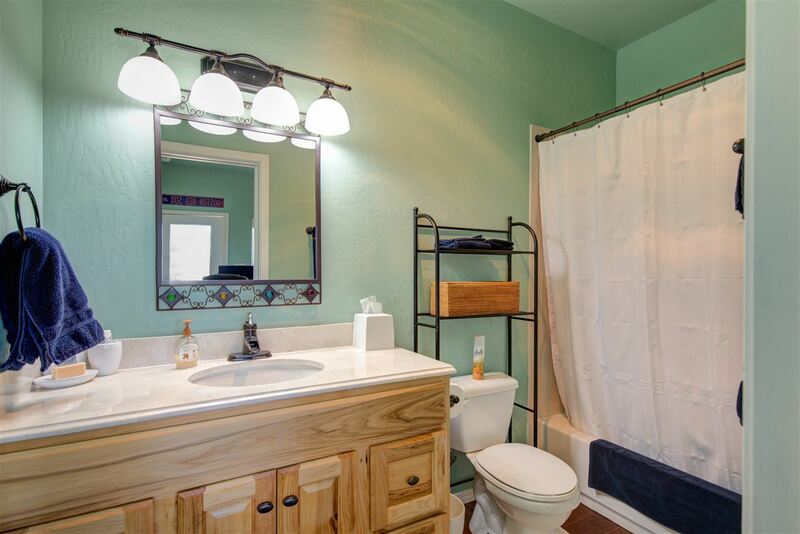 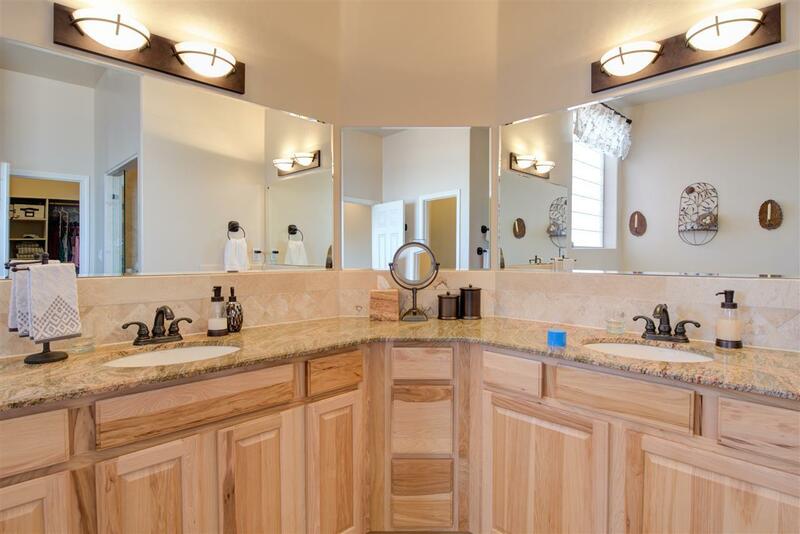 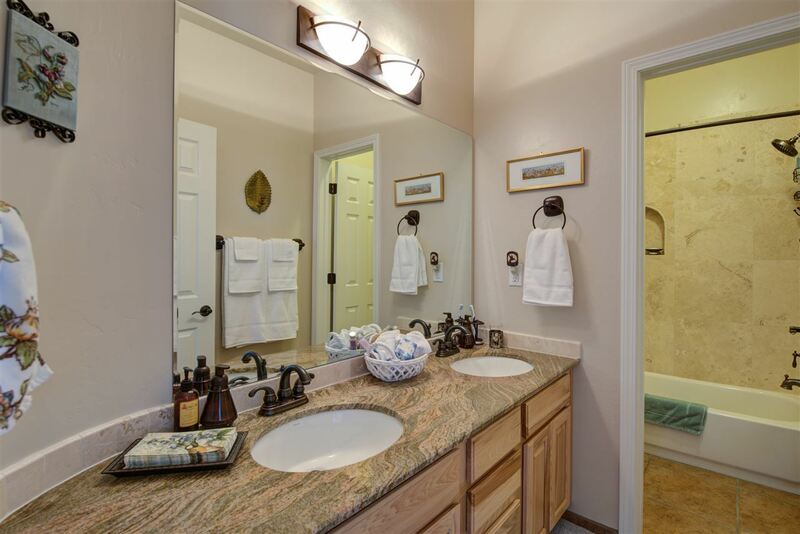 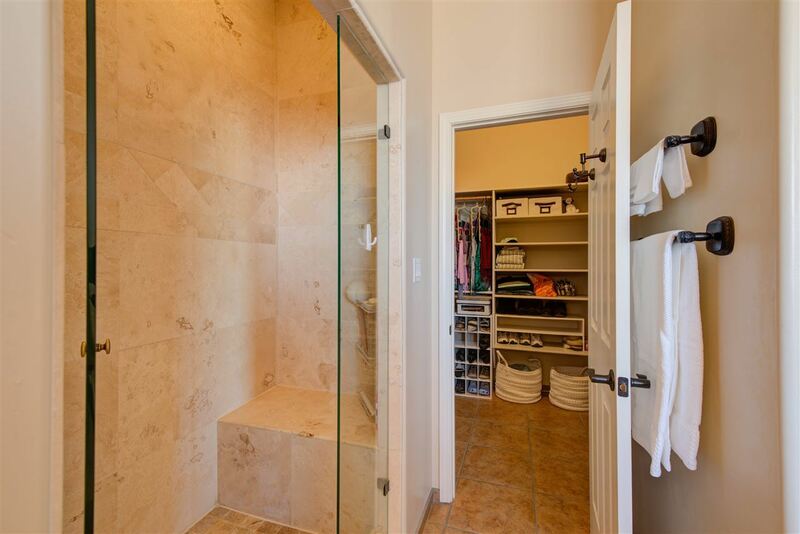 Master bath features double sinks,jetted tub with separate shower, granite and travertine, large walk in closet. 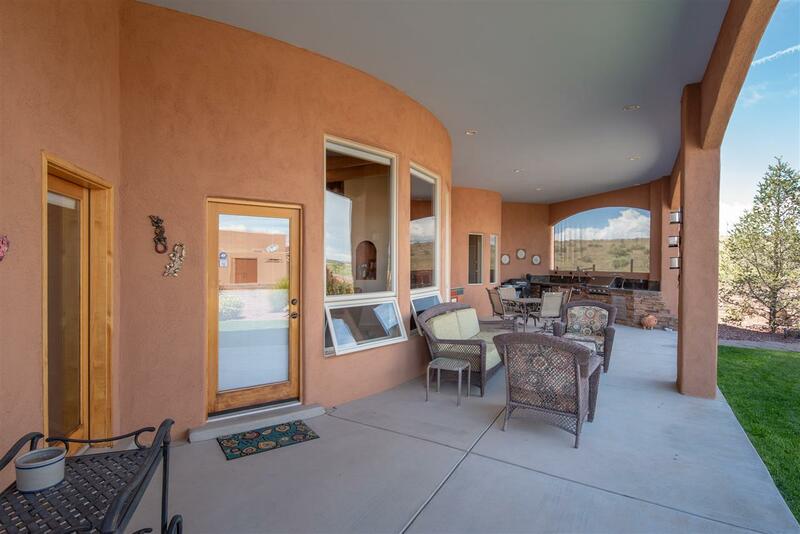 Lots of nichos and architectural detail make this a very special home. 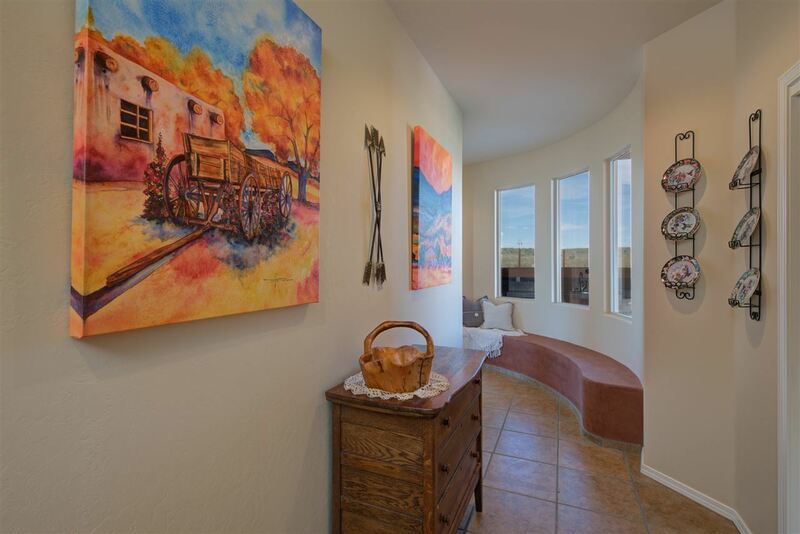 Could be perfect for multi-generational living! 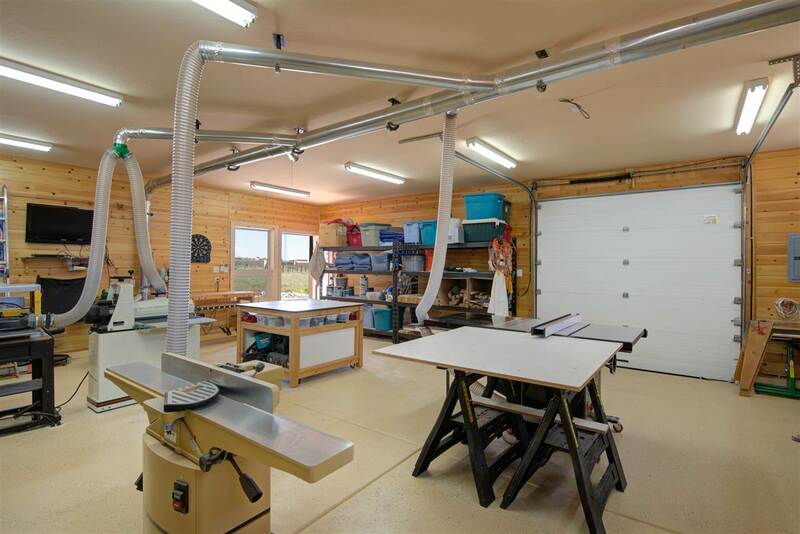 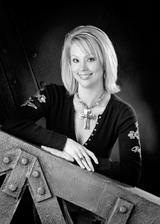 Please see feature sheet for more details. 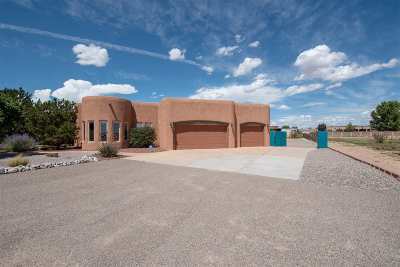 Move-in ready, this is an exceptional home! 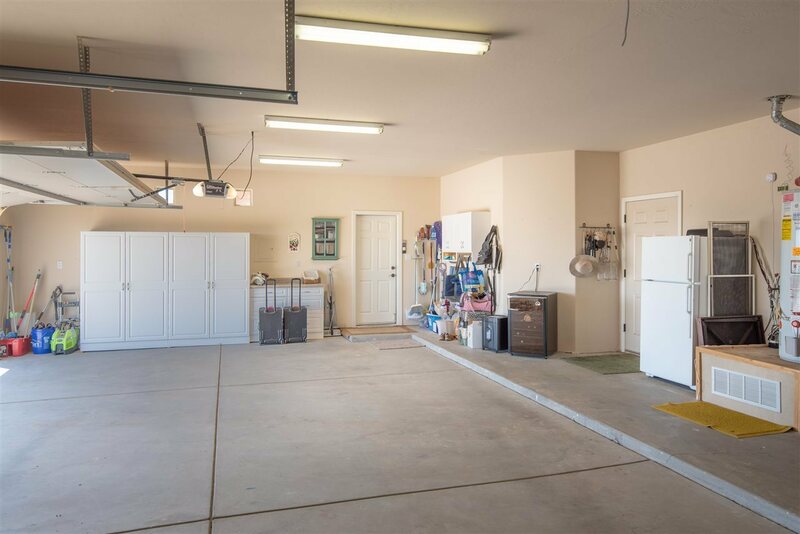 Directions To Property: Unser North Of Northern To First Light Which Is Cherry, West To Meadows, North To Marble Sky, West On Marble Sky, Home Is On The North Side Of Street.